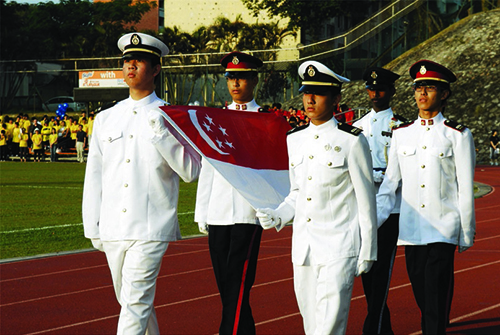 On parade: The Singapore flag. 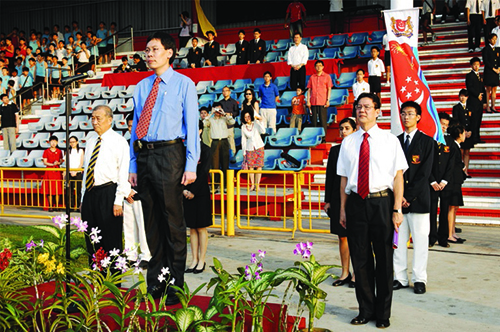 ON AUG 8, 2007, all six schools of the Anglo-Chinese Schools Family gathered at the Queenstown Stadium to celebrate National Day as ONE ACS. 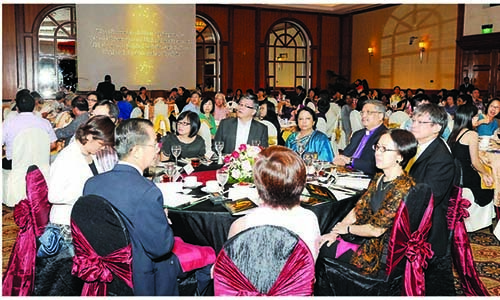 This was the first time that ACS has come together as one family to celebrate National Day. The stadium was filled with teachers and students brimming with enthusiasm. Such collaboration was the fruit of a strategic workhop held three years ago when members of the ACS Board of Governors, principals and vice-principals of the ACS schools agreed on the adoption of a set of core values that would bind the individual institutions as ONE ACS. The celebrations commenced with a parade by 17 supporting contingents of Uniformed Youth Organisations from the various ACS schools. The three Guard-of-Honour contingents were formed by the Land, Sea and Air divisions from ACS (Independent). The Guest-of-Honour, RADM Lui Tuck Yew, Minister of State for Education and an MP for Tanjong Pagar GRC, quickly replaced with fun and laughter when the House Games started. 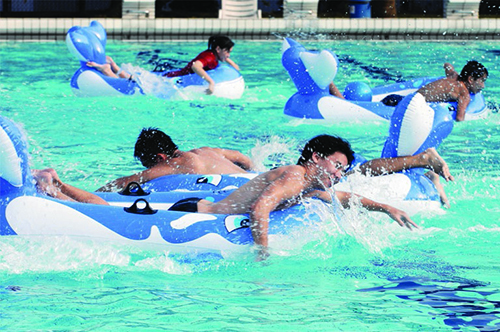 The games comprised both land and water sports. Representatives from all the six ACS Schools were grouped not by schools but by their Houses. 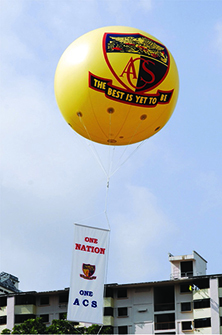 ACSians found themselves cheering not their respective institutions but their Houses, coming together as one united ACS. The games encouraged interaction between students regardless of school, gender or age. Thoburn House and Tan Kah Kee House won the land and water games respectively. In the midst of the celebrations, we still remembered to thank God for His bountiful blessings. ACS has always aimed to provide holistic education that is centred on Methodist teachings and values. 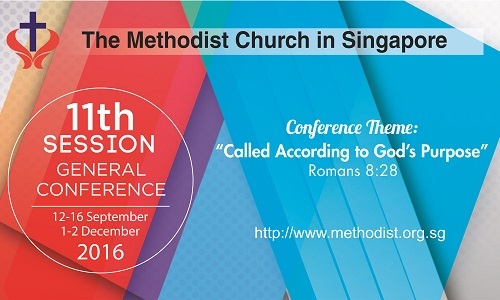 Being part of the Methodist Family of Schools, one of the ACS Family Core Values is being “God-Centred” – to do what is right in the eyes of the Lord. In being anchored to the Rock, we can then truly come together as one, with one aim and one mission. The strong ACS Spirit could be felt in the stadium as the celebrations ended on a successful note. As the entire stadium was led in cheering, voices rose in unison and our hearts beat as one. It felt good to come together to celebrate our nation’s birthday and to do it as a family. Aug 8 was indeed a day that we will never forget. The ONE ACS National Day Celebrations did not only bring us together, but also bound us together as one unit. It was a special day, one that will remain with us forever. Paul Chu Xue Qian is a student at ACS (Independent). A splashing time: The water games. A warm welcome: For RADM Lui Tuck Yew.